[Updated after withdrawal from Alexandersson] The women start from 13:41 CET (14:41 local time) with decisions around 14:40 CET. The men start from 14:51 CET with decisions around 15:50 CET. 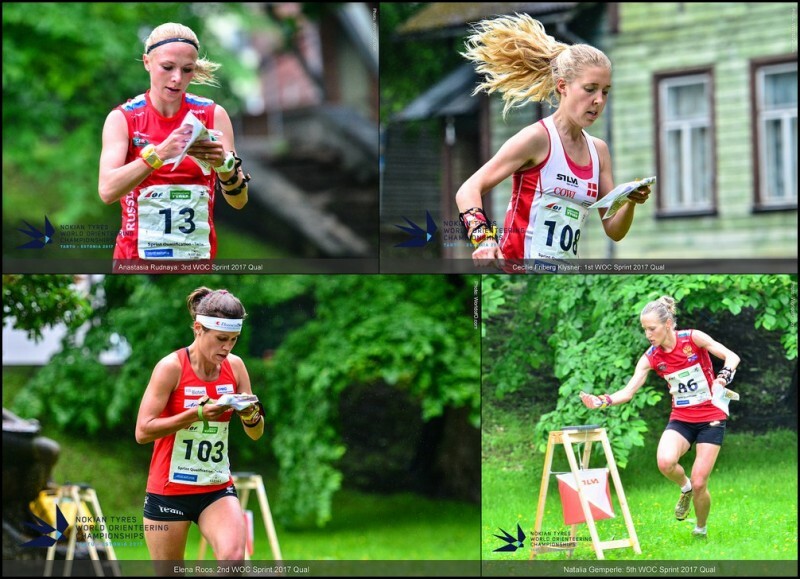 Read on for a preview of the favourites for WOC 2017 Sprint. This is an updated version of the article published ahead of the Sprint Qualification. Update July 1st 12:30 local time: Tove Alexandersson has caught a cold and will unfortunately not start today. The favourites section is updated accordingly. Women: Who can beat Maja Alm? The main favourite in the women’s class is the Gold medalist from the two last World Championships Sprint, Maja Alm. Alm is reported to be in better shape than ever – the last years the fast Dane has been able to win even without doing optimal choices along the course. Alm was also fastest in her qualification heat (Heat A) – winning the heat with more than 30 seconds! Alm will get interesting competition from Sweden this year, though. Tove Alexandersson was not at the start in Strömstad last year, but is one of the very best sprinters in the women elite – and should be able to give Alm a tough fight for the victory. 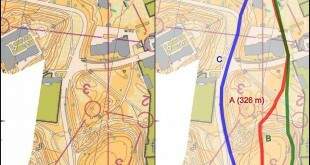 Alexandersson finished second in Heat B, 4 seconds behind heat winner Galina Vinogradova from Russia who should also be counted among the favourites. Vinogradova is a strong sprint specialist from Russia who is always in the fight for the medals. There are several outsiders who will be in the fight for the medals – one of them is last year’s surprise bronze medalist Anastasia Denisova from Belarus. Can she impress the orienteering world again? Denisova finished 4th in Heat A, 39 seconds behind Alm, and shows that she has still a high level. Also look out for Sweden’s third starter, Lina Strand, who impressed with a third place at the World Cup Sprint in Finland in May – Strand finished 3rd in the qualificationin Heat A. The Ukrainian Nadiya Volynska has shown medal potential earlier, and should also be counted in – Volynska finished 5th in Heat A. Also look out for Finnish Venla Harju (finnished 6th in the Finland Sprint). Harju finished 5th in Heat B in the qualification. A few outsiders should be added to the list after the qualification: Danish Cecilie Friberg Klysner wins Heat C with 14 seconds ahead of Elena Roos (Switzerland) – both of these should be added to the outsider list. Also include Natalia Gemperle who finished 5th in Heat C.
Missing on the start list this year is Judith Wyder, Silver medalist from last year’s WOC Sprint and Gold medalist from 2014. Wyder is expecting her first child this autumn and is not racing at WOC this year. Comment: The battle for silver & bronze is now wide open. It was very tempting to put up Elena Roos there, she looked very fast at yesterday’s qualification. Will definitely be a very interesting battle for the medals. Below is a list of the Top 20 women sprinters at the start, according to a point system which weights medals in the biggest championships the last years highest. 1. Maja Alm DEN Gold WOC Sprint (2016), Gold WOC Sprint (2015), Silver WOC Sprint (2012), Bronze WOC Sprint (2014), Gold WC #1, Sprint (2017), Bronze EOC Sprint (2016), Silver WC #10, Sprint (2016), Silver WC #2, Sprint (2016), 4th WOC Sprint (2013), Silver WC #9, Sprint (2014), Silver WC #14, Sprint (2014), Bronze EOC Sprint (2012), Silver WC #5, Sprint (2012), Bronze EOC Sprint (2010), Bronze JWOC Sprint (2007) Ranked Gold in Sprint World Ranking. 2. Nadiya Volynska UKR Silver WOC Sprint (2015), Silver EOC Sprint (2016), Silver EOC Sprint (2014), 4th WOC Sprint (2014), Bronze WC #2, Sprint (2016), 11th WOC Sprint (2016), 11th WOC Sprint (2013), 17th WC #1, Sprint (2017), 9th WC #13, Sprint (2013) Ranked 7th in Sprint World Ranking. 3. Tove Alexandersson SWE Silver WOC Sprint (2014), Gold WC #1, Sprint (2015), Silver WC #1, Sprint (2017), Gold WC #14, Sprint (2014), Gold WC #2, Sprint (2013), Silver WC #4, Sprint (2013), Bronze WC #2, Sprint (2016), Bronze WC #10, Sprint (2016), Bronze WC #9, Sprint (2014), Bronze WC #5, Sprint (2012), Gold JWOC Sprint (2012) Ranked 4th in Sprint World Ranking. 4. Galina Vinogradova RUS Bronze WOC Sprint (2015), Bronze EOC Sprint (2016), 4th WOC Sprint (2016), 7th WOC Sprint (2014), 6th WOC Sprint (2013), Gold WC #2, Sprint (2011), 8th WOC Sprint (2011), 6th WC #1, Sprint (2017), 19th EOC Sprint (2014), Bronze WC #5, Sprint (2010) Ranked Bronze in Sprint World Ranking. 5. 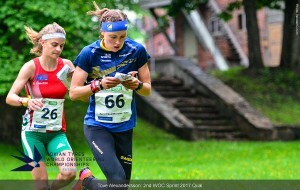 Anastasia Denisova BLR Bronze WOC Sprint (2016), Bronze JWOC Sprint (2013), 32nd WC #10, Sprint (2016), 33rd WC #2, Sprint (2016), 10th JWOC Sprint (2012) Ranked 24th in Sprint World Ranking. 6. Julia Gross SUI Bronze EOC Sprint (2014), 9th WOC Sprint (2015), Bronze WC #9, Sprint (2014), 11th WOC Sprint (2014), 6th WC #1, Sprint (2015), 9th EOC Sprint (2012), 9th WC #10, Sprint (2016), 7th WC #14, Sprint (2014), 6th WC #13, Sprint (2013) Ranked 19th in Sprint World Ranking. 7. Silje Ekroll Jahren NOR 8th WOC Sprint (2016), 8th WOC Sprint (2015), 10th WOC Sprint (2012), 14th EOC Sprint (2016), 20th WOC Sprint (2011), 13th EOC Sprint (2012), 21st WC #1, Sprint (2017), 18th WC #10, Sprint (2016), 7th WC #5, Sprint (2012), Silver JWOC Sprint (2008) Ranked 17th in Sprint World Ranking. 8. Lina Strand SWE Bronze WC #1, Sprint (2017), 11th WOC Sprint (2016), 17th WOC Sprint (2014), Bronze WC #4, Sprint (2013), 12th WOC Sprint (2013), 15th EOC Sprint (2016), 10th EOC Sprint (2014), 6th WC #2, Sprint (2016), 10th WC #10, Sprint (2016) Ranked 6th in Sprint World Ranking. 9. 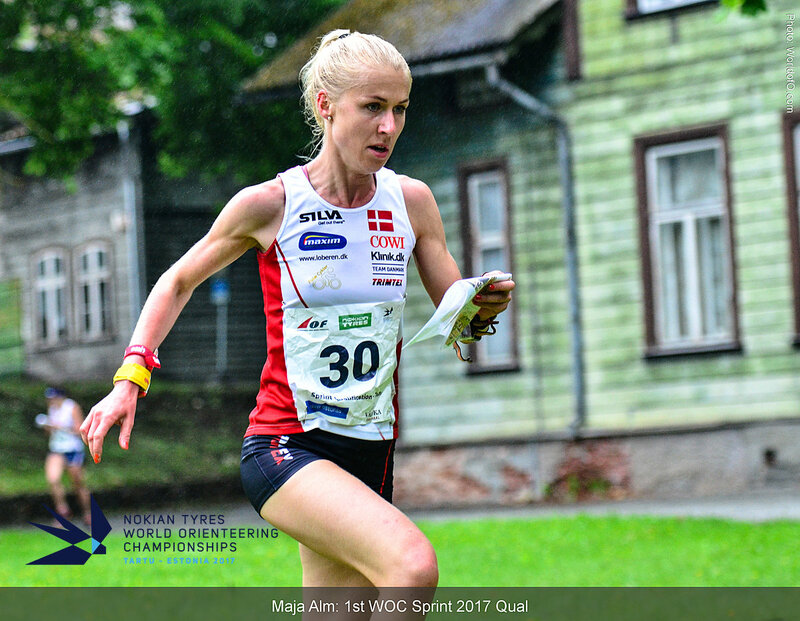 Marika Teini FIN 9th WOC Sprint (2016), Bronze WC #2, Sprint (2016), 16th WOC Sprint (2014), 14th WOC Sprint (2012), 11th EOC Sprint (2016), 8th EOC Sprint (2012), 12th EOC Sprint (2014), 22nd WC #1, Sprint (2017), 10th WC #9, Sprint (2014) Ranked 11th in Sprint World Ranking. 10. Elena Roos SUI 6th WOC Sprint (2016), 6th EOC Sprint (2016), 6th WC #10, Sprint (2016), 14th EOC Sprint (2014), 7th WC #1, Sprint (2015), 14th WC #1, Sprint (2017), 14th WC #2, Sprint (2016), 20th WC #9, Sprint (2014), 9th JWOC Sprint (2009) Ranked 5th in Sprint World Ranking. 11. Karolin Ohlsson SWE 10th WOC Sprint (2015), 13th WOC Sprint (2016), 4th WC #1, Sprint (2017), 20th EOC Sprint (2016), 5th WC #1, Sprint (2015), 12th EOC Sprint (2014), 8th WC #2, Sprint (2016), 21st WC #10, Sprint (2016), 17th WC #7, Sprint (2013) Ranked 13th in Sprint World Ranking. 12. Fanni Gyurku HUN 17th WOC Sprint (2016), 18th WOC Sprint (2015), 33rd WOC Sprint (2014), 14th WOC Sprint (2012), 36th WOC Sprint (2013), 45th EOC Sprint (2016), 48th EOC Sprint (2012), 26th WOC Sprint (2009), 23rd WC #2, Sprint (2013) Ranked 53rd in Sprint World Ranking. 13. 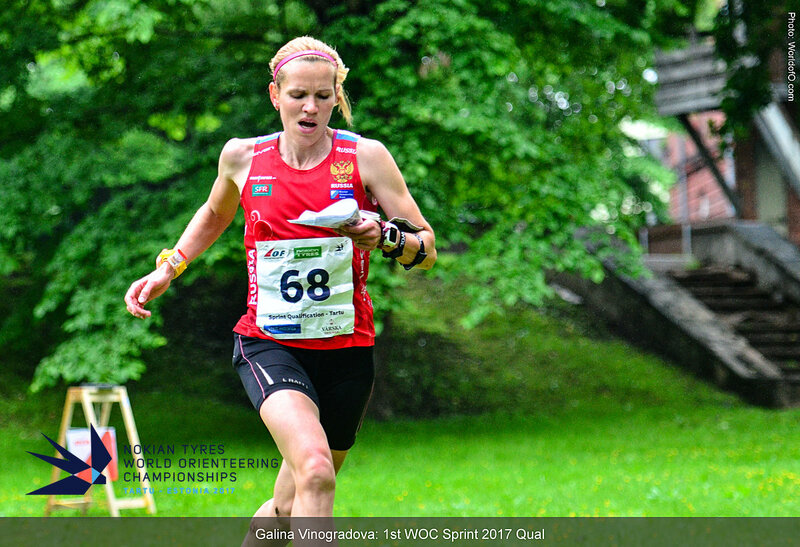 Ursula Kadan AUT 23rd WOC Sprint (2016), 18th WOC Sprint (2014), 37th WOC Sprint (2015), 23rd WOC Sprint (2013), 22nd WOC Sprint (2012), 34th EOC Sprint (2016), 18th EOC Sprint (2014), 33rd WOC Sprint (2011), 16th EOC Sprint (2012) Ranked 27th in Sprint World Ranking. 14. Lizzie Ingham NZL 13th WOC Sprint (2014), 32nd WOC Sprint (2015), Bronze WC #2, Sprint (2013), 9th WOC Sprint (2012), 14th WOC Sprint (2013), 11th WOC Sprint (2011), 20th WC #1, Sprint (2015), 15th JWOC Sprint (2008), 20th JWOC Sprint (2007) Ranked 346th in Sprint World Ranking. 15. Anastasia Rudnaya RUS 5th WOC Sprint (2011), 21st WOC Sprint (2015), 10th EOC Sprint (2016), 23rd WOC Sprint (2012), 21st EOC Sprint (2014), 10th WC #1, Sprint (2017), 19th EOC Sprint (2012), 11th WC #10, Sprint (2016), 12th WC #2, Sprint (2016) Ranked 10th in Sprint World Ranking. 16. Cecilie Friberg Klysner DEN 18th WOC Sprint (2016), 14th WOC Sprint (2015), 16th EOC Sprint (2016), 14th WC #1, Sprint (2015), 17th JWOC Sprint (2013), 20th JWOC Sprint (2012) Ranked 22nd in Sprint World Ranking. 17. 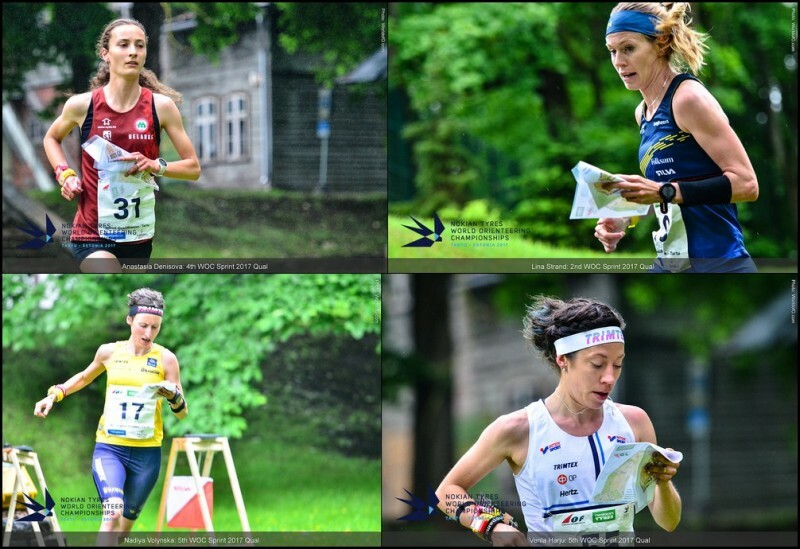 Evely Kaasiku EST 32nd WOC Sprint (2016), 35th WOC Sprint (2015), 44th WOC Sprint (2014), 36th EOC Sprint (2016), 38th EOC Sprint (2014), 39th WC #2, Sprint (2016), 37th WC #9, Sprint (2014), 24th JWOC Sprint (2013), 67th JWOC Sprint (2012) Ranked 59th in Sprint World Ranking. 18. Gabija Razaityte LTU 19th WOC Sprint (2015), 37th WOC Sprint (2014), 28th WOC Sprint (2013), 32nd WOC Sprint (2012), 35th EOC Sprint (2014), 38th WOC Sprint (2010), 50th EOC Sprint (2008), 20th JWOC Sprint (2008), 24th JWOC Sprint (2007) Ranked 400th in Sprint World Ranking. 19. 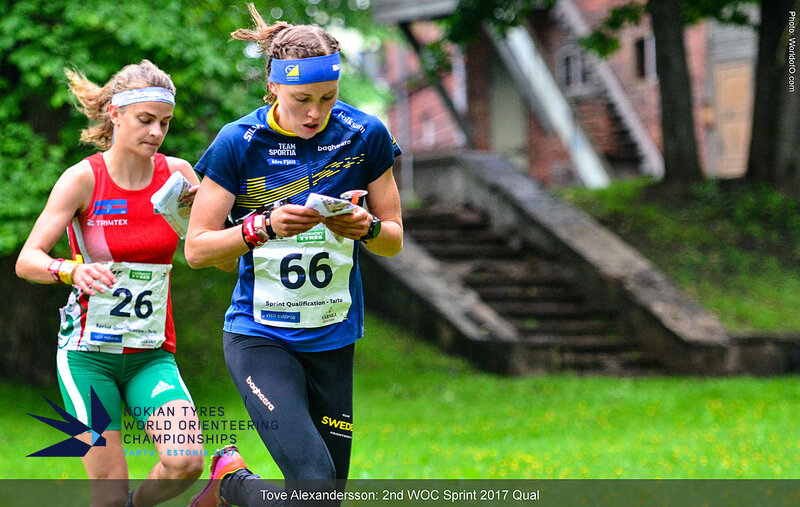 Isia Basset FRA 16th WOC Sprint (2016), 27th WOC Sprint (2015), 17th EOC Sprint (2016), 17th WC #10, Sprint (2016), 31st WC #14, Sprint (2014), 14th JWOC Sprint (2013), 14th JWOC Sprint (2011), 64th JWOC Sprint (2012) Ranked 25th in Sprint World Ranking. 20. Ida Marie Næss Bjørgul NOR 7th WOC Sprint (2016), 24th EOC Sprint (2014), 24th WC #10, Sprint (2016), 40th EOC Sprint (2010), 33rd WC #10, Sprint (2011), 35th WC #2, Sprint (2011), 25th WC #5, Sprint (2010), 27th WC #12, Sprint (2010), 12th JWOC Sprint (2008) Ranked 29th in Sprint World Ranking. As always the men’s race is much more open than the women’s race, with 10-15 runners who can win on a perfect day. All three Swiss and four Swedish runners on the start are definitely Gold medal candidates as always. In addition Belgian Yannick Michiels must be counted among the biggest favourites after his steady improvents year over year – and taking his first World Cup victory at the Sprint race in Finland in May. Michiels won Heat A in the qualification – and proved that he is exactly where he is supposed to be ahead of the big day. But Michiels will get tough competition. Last year’s Sprint World Champion Jerker Lysell (Sweden) had not raced a single sprint race between last year’s World Championships and the qualification in Tartu Friday due to injury problems – but showed that he can still perform on top level with a 3rd place in Heat A. This is not a new situation for Lysell who is used to preparations with alternative training. The World Champion Sprint from Scotland in 2015, Lysell’s team mate Jonas Leandesson, is a man for the big occasions, and will definitely be in the fight for Gold in Tartu. Leandersson finished 2nd in Heat A – between Michiels and Lysell. Also count in the two other Swedish starters, Emil Svensk and Martin Regborn who finished 3rd and 4th in the World Cup Sprint in Finland in May – although their qualification results were not as good (5th and 11th, respectively). The other big Sprint nation is Switzerland – with Sprint World Champion from 2012 and Silver medalist from 2016 Matthias Kyburz at the front. 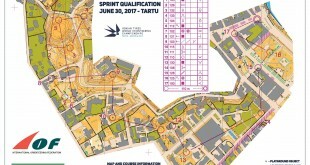 Kybyurz is ranked first on the Sprint World Ranking, and finished second behind Michiels at the World Cup in Finland – he won Heat C in the qualification. Kyburz has a special ability to finish on top – and has numerous World Cup victories in Sprint. Just last weekend Kyburz also won the Swiss Championships Sprint ahead of his team mate Daniel Hubmann and the Belgian Michiels. Daniel Hubmann took the Sprint World Champion title back in 2011 in France, and still fights for victory in every Sprint race he starts in – and can also return back from Estonia with a Sprint Gold medal if everything goes his way. Hubmann won Heat B in the qualification. The last Swiss starter is Martin Hubmann, the younger brother of Daniel. The Silver medalist from WOC 2015 in Scotland does not have the stability of the two other Swiss runners, but can fight with the very best on a top day. He finished 4th in the qualification in Heat A. There are many outsiders who will be in the fight for the medals – and who can even win on a top day. One of the most notable of these is Great Britain’s Kris Jones. A very fast runner who finished just outside the medals at the WOC Sprint in Strömstad last year – he finished 2nd in Heat C in the qualification. A few outsiders to add after good performance in the qualification: Aleksi Niemi (Finland), Tue Lassen (Denmark) and Lucas Basset (France) all run very well in Heat B in the qualification – of these both Lassen and Basset have shown earlier that they can perform when the pressure is at its highest. And finally, let us include one of the home stars among the outsiders; Kenny Kivikas finished 5th in Heat A, and could fight for the medals on a top day. Below is a list of the Top 20 men sprinters at the start, according to a point system which weights medals in the biggest championships the last years highest. 1. 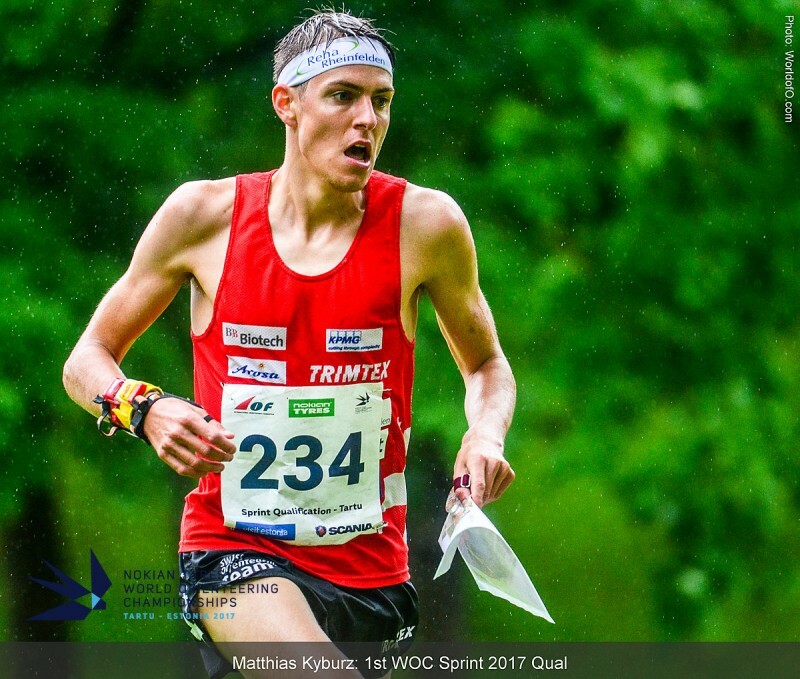 Matthias Kyburz SUI Silver WOC Sprint (2016), Gold WOC Sprint (2012), Gold EOC Sprint (2016), Gold WC #2, Sprint (2016), Gold WC #1, Sprint (2015), Silver WC #1, Sprint (2017), Silver WC #10, Sprint (2016), 5th WOC Sprint (2014), Gold WC #7, Sprint (2013), Gold WC #4, Sprint (2013), Gold WC #2, Sprint (2013), Gold WC #13, Sprint (2013), Silver WC #14, Sprint (2014), Gold WC #11, Sprint (2012), Gold WC #1, Sprint (2011), Silver WC #12, Sprint (2012), Silver WC #9, Sprint (2012), Silver WC #5, Sprint (2012), Bronze WC #6, Sprint (2013), Bronze WC #2, Sprint (2011), Bronze WC #10, Sprint (2011), Gold JWOC Sprint (2009) Ranked Gold in Sprint World Ranking. 2. Jerker Lysell SWE Gold WOC Sprint (2016), Bronze WOC Sprint (2015), Silver EOC Sprint (2014), 4th WOC Sprint (2014), Bronze EOC Sprint (2012), Gold WC #5, Sprint (2012), Silver WC #2, Sprint (2013), Silver WC #7, Sprint (2013), Gold WC #2, Sprint (2011), Bronze WC #14, Sprint (2014), Silver WC #10, Sprint (2011), Bronze WC #12, Sprint (2012), Silver WC #5, Sprint (2010) Ranked 215th in Sprint World Ranking. 3. Jonas Leandersson SWE Gold WOC Sprint (2015), Gold EOC Sprint (2014), Bronze WOC Sprint (2013), Gold EOC Sprint (2012), Gold WC #10, Sprint (2016), 5th WOC Sprint (2016), Gold WC #9, Sprint (2014), 6th WOC Sprint (2014), Gold WC #12, Sprint (2012), Bronze WC #2, Sprint (2016), Bronze WC #13, Sprint (2013), Bronze JWOC Sprint (2010) Ranked Silver in Sprint World Ranking. 4. Daniel Hubmann SUI Silver WOC Sprint (2014), Bronze WOC Sprint (2016), Gold WOC Sprint (2011), Gold WC #14, Sprint (2014), Silver WC #2, Sprint (2016), 6th WOC Sprint (2015), Silver WC #1, Sprint (2015), Silver WC #9, Sprint (2014), Bronze EOC Sprint (2012), Silver EOC Sprint (2010), Silver WC #4, Sprint (2013), Silver WC #7, Sprint (2013), Gold WC #10, Sprint (2011), Bronze WOC Sprint (2009), Gold WC #12, Sprint (2010), Silver WC #2, Sprint (2011), Silver WOC Sprint (2008), Silver WOC Sprint (2006), Silver WOC Sprint (2005), Gold WC #2, Sprint (2009), Gold WC #9, Sprint (2009), Silver EOC Sprint (2008), Gold WC #13, Sprint (2008), Gold WC #3, Sprint (2005), Gold WC #10, Sprint (2005), Silver WC #8, Sprint (2006), Silver WC #9, Sprint (2004), Bronze WC #10, Sprint (2007) Ranked Bronze in Sprint World Ranking. 5. Martin Hubmann SUI Silver WOC Sprint (2015), Bronze EOC Sprint (2014), 9th WOC Sprint (2016), Silver WC #13, Sprint (2013), Bronze WC #10, Sprint (2016), 10th WOC Sprint (2014), 7th EOC Sprint (2016), 22nd WOC Sprint (2013), 5th WC #6, Sprint (2013), Bronze JWOC Sprint (2009) Ranked 8th in Sprint World Ranking. 6. Yannick Michiels BEL Gold WC #1, Sprint (2017), 5th WOC Sprint (2015), 7th WOC Sprint (2014), Bronze WC #9, Sprint (2014), 12th WOC Sprint (2013), 31st WOC Sprint (2012), 23rd EOC Sprint (2014), 6th WC #14, Sprint (2014), 19th WC #6, Sprint (2013) Ranked 14th in Sprint World Ranking. 7. Tue Lassen DEN Bronze WOC Sprint (2014), 16th WOC Sprint (2016), 11th WOC Sprint (2015), Bronze WC #4, Sprint (2013), 5th WC #9, Sprint (2014), 6th EOC Sprint (2010), 6th WC #2, Sprint (2013), 22nd WC #1, Sprint (2017), 16th WC #10, Sprint (2016) Ranked 19th in Sprint World Ranking. 8. Andrey Khramov RUS Gold WOC Sprint (2009), 5th WOC Sprint (2012), Gold WOC Sprint (2008), 19th WOC Sprint (2016), 18th EOC Sprint (2016), 8th WOC Sprint (2010), 10th EOC Sprint (2014), 26th WOC Sprint (2011), Silver EOC Sprint (2004), Silver WC #2, Sprint (2009), Bronze EOC Sprint (2008), Bronze EOC Sprint (2006), Bronze WC #9, Sprint (2009) Ranked 21st in Sprint World Ranking. 9. Kris Jones GBR 4th WOC Sprint (2016), 8th WOC Sprint (2015), 18th WOC Sprint (2014), 6th EOC Sprint (2014), 16th WOC Sprint (2013), 15th EOC Sprint (2016), Silver JWOC Sprint (2010), 17th JWOC Sprint (2011), 25th JWOC Sprint (2009) Ranked 13th in Sprint World Ranking. 10. Frederic Tranchand FRA Bronze WOC Sprint (2010), 8th WOC Sprint (2016), Silver WC #11, Sprint (2012), 33rd WOC Sprint (2015), 10th WOC Sprint (2011), 43rd WOC Sprint (2013), 6th WC #1, Sprint (2017), 13th EOC Sprint (2014), 5th WC #12, Sprint (2012) Ranked 12th in Sprint World Ranking. 11. Martin Regborn SWE 7th WOC Sprint (2016), 4th EOC Sprint (2016), 21st WOC Sprint (2015), 15th WOC Sprint (2014), 4th WC #1, Sprint (2017), 7th WC #10, Sprint (2016), 9th WC #2, Sprint (2016), 19th WC #9, Sprint (2014), 5th JWOC Sprint (2012) Ranked 4th in Sprint World Ranking. 12. 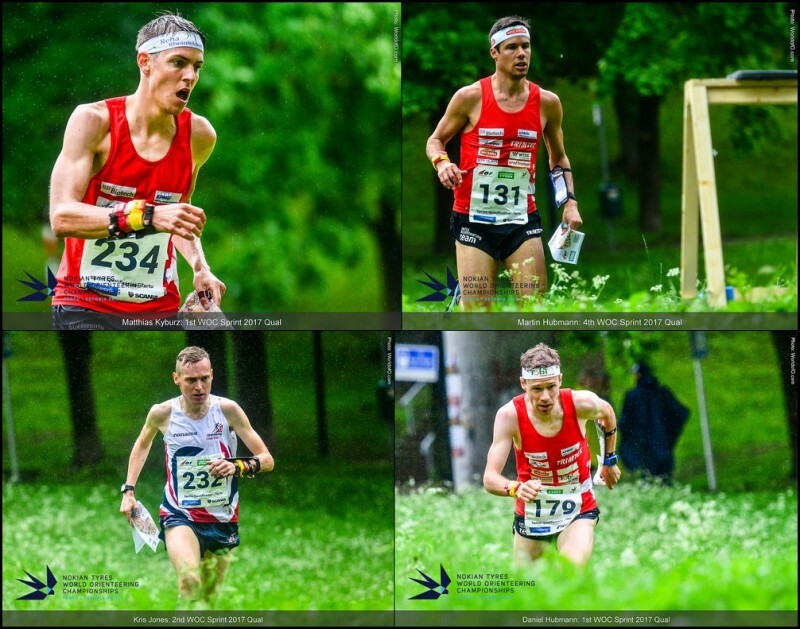 Vojtech Kral CZE 6th WOC Sprint (2016), 12th WOC Sprint (2015), 17th WOC Sprint (2014), 10th WOC Sprint (2012), 11th EOC Sprint (2016), 9th EOC Sprint (2014), 6th WC #1, Sprint (2017), 8th WC #10, Sprint (2016), 6th WC #6, Sprint (2013), Gold JWOC Sprint (2007) Ranked 7th in Sprint World Ranking. 13. Øystein Kvaal Østerbø NOR Silver WC #6, Sprint (2013), 7th WOC Sprint (2013), 15th WOC Sprint (2016), 16th WOC Sprint (2015), 12th WOC Sprint (2014), 4th WOC Sprint (2010), 10th EOC Sprint (2016), 8th EOC Sprint (2014), 4th WC #2, Sprint (2016), Gold WC #9, Sprint (2004), Silver WC #5, Sprint (2007), Bronze WC #3, Sprint (2005) Ranked 11th in Sprint World Ranking. 14. Jonas Vytautas Gvildys LTU 10th WOC Sprint (2015), 9th WOC Sprint (2014), 7th WOC Sprint (2012), 32nd WOC Sprint (2016), 14th WOC Sprint (2013), 4th WC #9, Sprint (2014), 8th EOC Sprint (2012), 14th EOC Sprint (2014), 31st WOC Sprint (2010) Ranked 36th in Sprint World Ranking. 15. Andreu Blanes Reig ESP 7th WOC Sprint (2015), 14th WOC Sprint (2016), 26th WOC Sprint (2014), 33rd WOC Sprint (2013), 24th WOC Sprint (2012), 31st EOC Sprint (2016), 40th EOC Sprint (2014), Silver JWOC Sprint (2011), 18th JWOC Sprint (2010) Ranked 27th in Sprint World Ranking. 16. Tim Robertson NZL 13th WOC Sprint (2016), 20th WOC Sprint (2015), 7th EOC Sprint (2016), Gold JWOC Sprint (2015), Gold JWOC Sprint (2014), 4th WC #10, Sprint (2016), 5th WC #2, Sprint (2016), 33rd WOC Sprint (2012), 8th WC #1, Sprint (2017), Bronze JWOC Sprint (2013) Ranked 6th in Sprint World Ranking. 17. 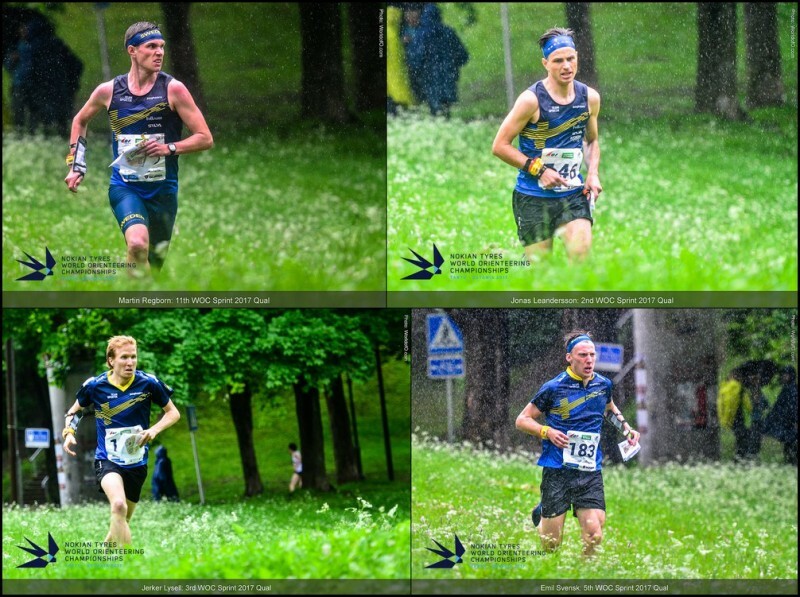 Emil Svensk SWE Bronze WC #1, Sprint (2017), 10th WOC Sprint (2016), 17th EOC Sprint (2016), 6th WC #10, Sprint (2016), 8th WC #2, Sprint (2016), 42nd EOC Sprint (2014), 6th JWOC Sprint (2012), 14th JWOC Sprint (2013) Ranked 5th in Sprint World Ranking. 18. Robert Merl AUT 15th WOC Sprint (2015), 34th WOC Sprint (2016), 11th WOC Sprint (2014), 7th WOC Sprint (2011), 25th WOC Sprint (2013), 21st WOC Sprint (2012), 30th EOC Sprint (2016), 18th EOC Sprint (2014), 35th EOC Sprint (2012) Ranked 37th in Sprint World Ranking. 19. 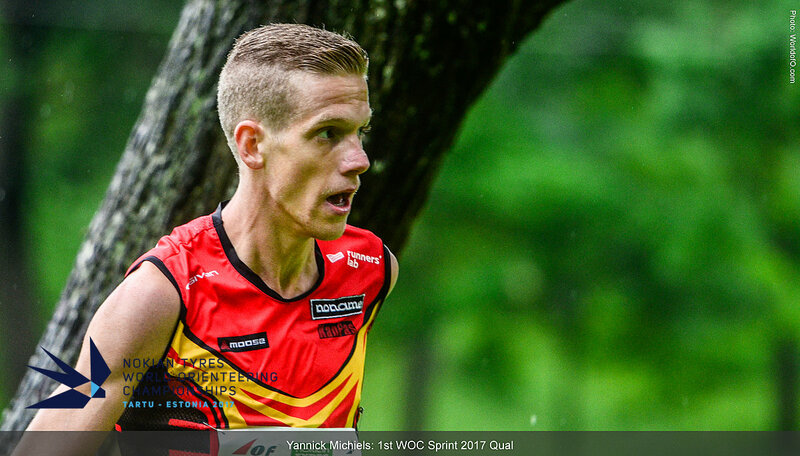 Hakon Jarvis Westergard NOR 20th WOC Sprint (2016), 6th EOC Sprint (2016), 26th WOC Sprint (2015), 15th WC #10, Sprint (2016), 35th WC #2, Sprint (2016) Ranked 15th in Sprint World Ranking. 20. 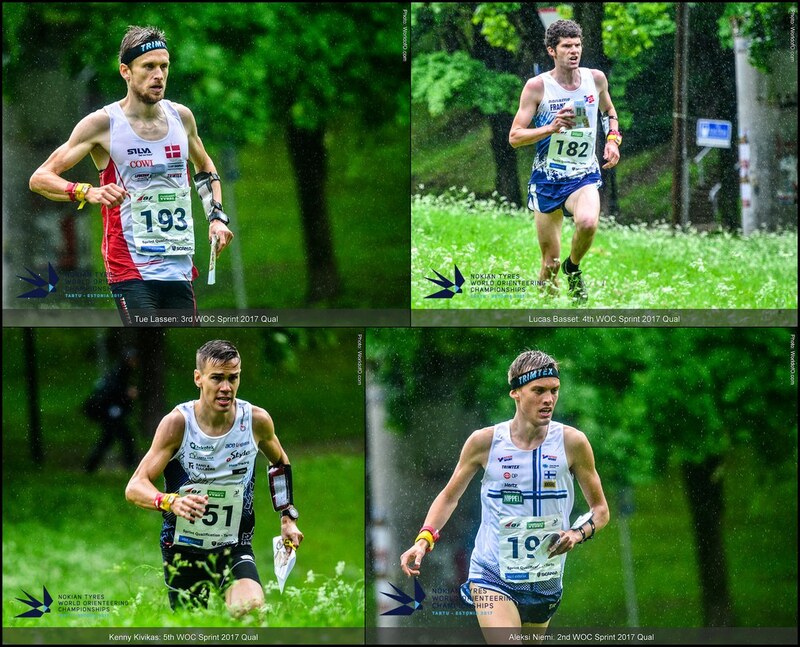 Nicolas Simonin IRL 23rd WOC Sprint (2016), 30th WOC Sprint (2015), 32nd WOC Sprint (2014), 27th WOC Sprint (2012), 25th EOC Sprint (2016), 41st WOC Sprint (2010), 37th EOC Sprint (2012), 88th JWOC Sprint (2009) Ranked 41st in Sprint World Ranking.